This training book has hundreds of different types of drills and exercises. Start with easy setups and then slowly move into the difficult shots. This will improve your abilities. Week to week, month to month, your skills and knowledge will improve. 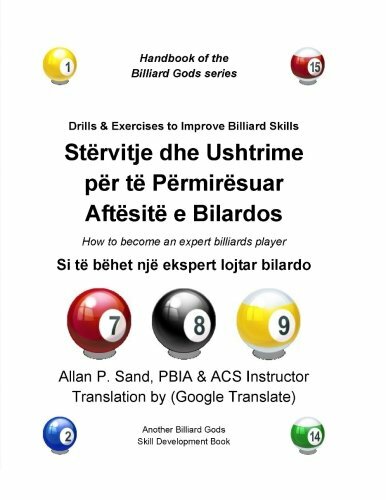 The more you practice, the sooner you will become an expert billiards player. Dispozicion SHBA (amazon.com) dhe Europe (*.uk, *.fr, *.de, *.es, *.it). Also see the author's Billiards Blog on the Billiard Gods web site.